The move is opposed by state Ecology Director Maia Bellon, who wrote a Sept. 10 letter of protest to Col. Mark Geraldi, the Corp's Seattle district commander. 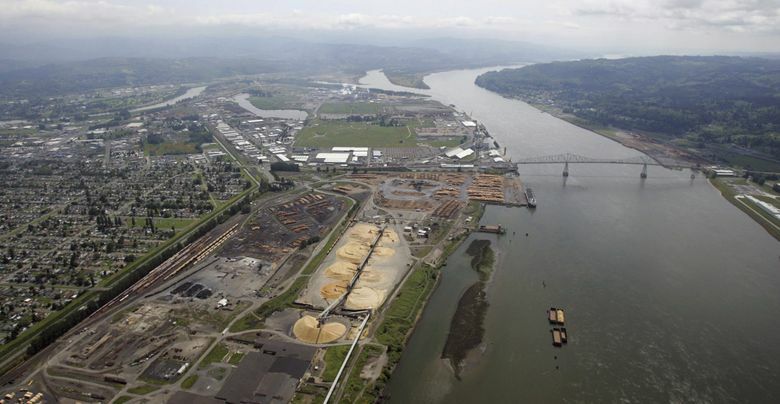 The U.S. Army Corps of Engineers will move forward with an environmental review of a proposed Longview coal-export terminal that already has been rejected by the state Department of Ecology for failing to meet water-quality standards. The Corps’ continued involvement has been sought by developers who want the Trump administration to help keep alive the Millennium Bulk Terminals project, which would offer a new outlet to export up to 48 1/2 million tons of western coal to Asian markets. The Corps plans to oversee the preparation of a final environmental-impact statement by a yet-to-be-selected independent contractor, according to a statement released Monday by the Corps’ Seattle district office. The move is opposed by state Ecology Director Maia Bellon, who wrote a Sept. 10 letter of protest to Col. Mark Geraldi, the Corps’ Seattle district commander. The Corps’ review comes amid a broader push by the Trump administration to bolster the U.S. coal industry, which has been buffeted by long-term declines in demand as power-generation shifts to greater use of natural gas and renewable energy. On Monday, The Associated Press reported that Interior Secretary Ryan Zinke proposed that U.S. military installations or other federal sites could possibly serve as export sites for sending coal to Asia. International markets have improved during the past two years after a sharp slump that wiped out the profitability of shipping western coal to Asia for use in power plants, according to Clark Williams-Derry, of the Seattle-based Sightline Institute. 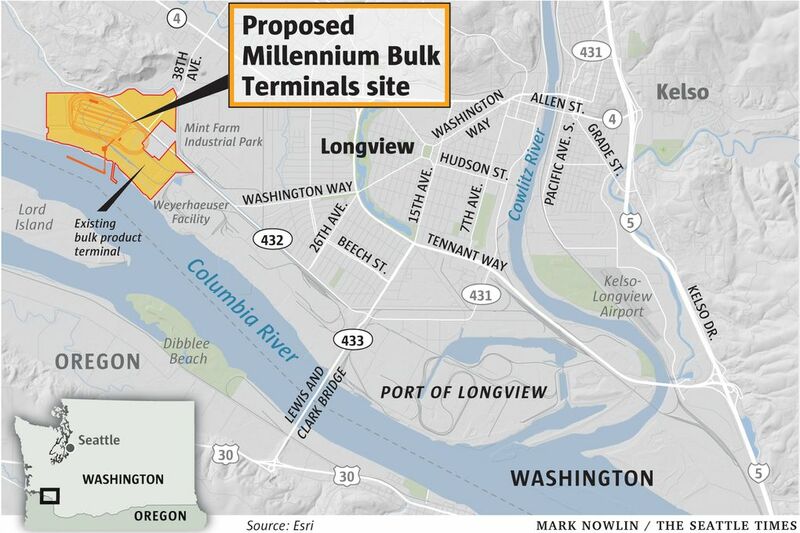 The Longview coal-export terminal, proposed by Millennium Bulk Terminals, has sparked a years-long battle that has pitted the coal industry against opponents, many of them environmentalists seeking to prevent the Northwest from becoming an export hub for coal and other fossil fuels that release greenhouse gases spurring climate change. In September 2017, the state Ecology Department ruled against the project, citing impacts that included destruction of 24 acres of wetlands, an increase of 1,680 vessel trips a year on the Columbia and harm to aquatic habitat. The Department of Natural Resources also has rejected a sublease sought by project developers. Millennium is challenging adverse decisions in state court, and also in a lawsuit filed in U.S. District Court in Tacoma that accuses Bellon, Gov. Jay Inslee and Public Lands Commissioner Hilary Franz of having “unreasonably delayed and denied a number of permits and approvals” because they oppose the project on policy grounds. The Corps issued a draft environmental-impact statement about the project in 2016. Work then slowed as the project ran into roadblocks in the state and local permitting process. With the agency short on staff, there were higher priority projects to pursue, according to Patricia Graesser, a Seattle District office spokeswoman for the Corps. The agency has filled some vacant staff positions, and now decided to move forward with finishing the project review. A federal permit could not actually be issued so long as the state certification continues to be denied. But the developer wants the Corps to declare the state has waived its rights under the Clean Water Act because it took too long to make a decision and the denial was not based on factors outlined in federal law, according to an Aug. 17 letter sent to the Corps’ Seattle district commander by Beth Ginsberg, an attorney representing Millennium. “We look forward to discussing these issues more fully and will contact you to arrange a time to do in the immediate future,” Ginsberg wrote to the Corps’ Geraldi. The Corps has not provided a response to that letter, according to Graesser, the Corps’ spokeswoman.